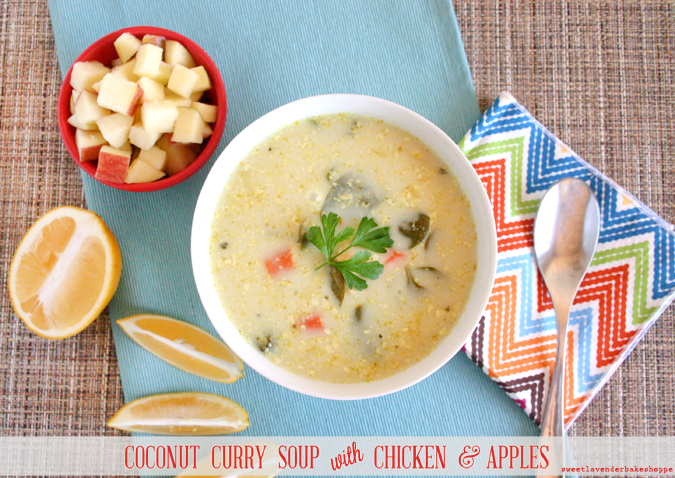 I know what you're thinking: Coconut curry soup...with apples? Yes apples! And before you close this tab and move on, let me tell you some truth- I was right there with you. 100%. 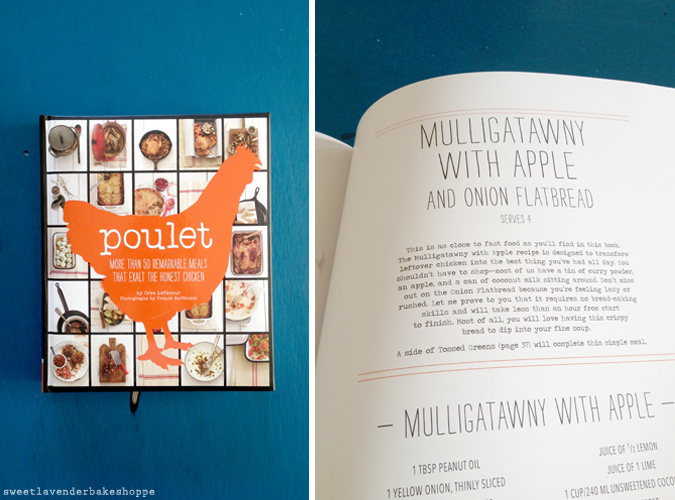 I had wanted the Poulet cookbook for some time, so you can imagine my delight when this past Christmas it was a present I received. A book full of chicken recipes?!?!? This is the most amazing thing ever! It really is. We eat a lot of chicken. A lot. Anywho, as I was drooling reading through each recipe and tagging the ones I just needed to make ASAP I came across this "Mulligatawny with Apple" and sort of froze. My brain wanted to like it, it really did- there were delicious ingredients in it like coconut...and curry...and chicken (I am a HUGE coconut curry fan. You could slather some coconut curry on an old shoe and I'd probably like it). But then there was that one "sore thumb" of an ingredient thrown in- the apple. Apple? ...An apple?!?!?!? So you're saying apple goes well with...curry?? A hot soupy apple? I mean...it's going to be hot and soupy once it's added into this hot soupy soup! "Bill! This recipe...it sounds so good...but...it has an apple in it! An apple! What the heck?" I decided right then and there that this would be dinner and I would see what this whole thing was all about. I'm beyond happy I did. It was....for lack of a better word...amaz-z-z-z-zing. So Cree LeFavour you won this round. Coconut + Curry + Apple = 100% Yes. I did alter it very slightly. Honestly I can't help it. Every recipe I ever make, I just have to alter- why? No clue. I guess I just feel like there are ingredients it still needs? Basically what I am saying is I'm ridiculous. So, I added a bit more chicken stock, and a few more veggies (because honestly it was lacking in the veggie department). But it's mostly the same. 1. In a large saucepan (or dutch oven) heat oil over medium-high heat. Add onion and carrots and cook until onions are translucent- about 5 minutes. Turn heat to medium-low. 2. Add garlic slices and curry powder and cook 1-2 minutes, stirring frequently- until curry is fragrant. 3. Add chicken stock and turn heat back up to medium-high. Bring to a gentle simmer. 4. Once simmering, add chicken pieces, stir well, cover, and cook until chicken is cooked through- 8-10 minutes. 5. 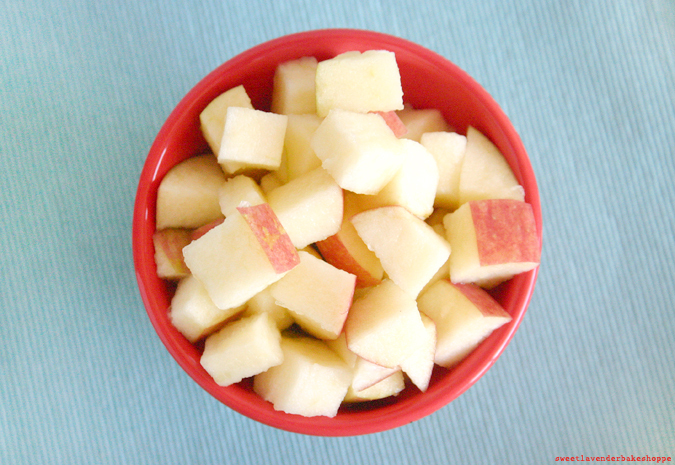 While soup is simmering, cut up your apple(s) into a small dice- about 1/2"x1/2". Place into a bowl, add your 1/3 lemon juice, and stir to combine. Set aside. 6. When chicken is cooked through, turn off heat and add your 2 cups spinach, remaining 2/3 lemon juice, coconut milk, salt, and pepper. Stir to combine. Cover and let sit 3-5 minutes or until spinach is completely wilted. 7. To serve, ladle soup into bowls and top with a few spoonfuls of the chopped apple, as well as parsley or cilantro. Crazy right? Crazy good is what it is. 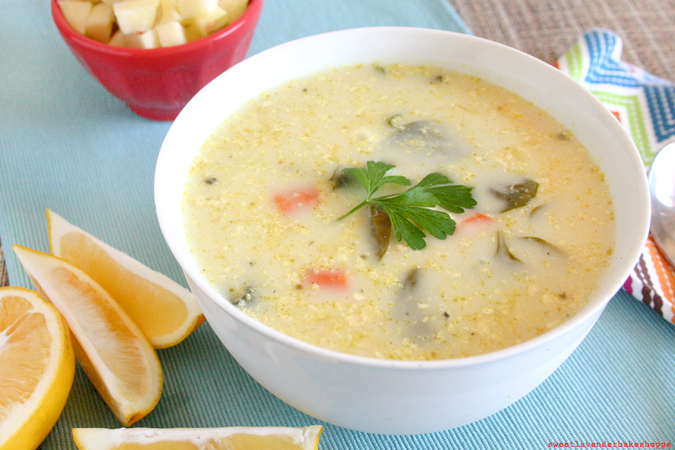 This soup is so simple and surprisingly refreshing. Made with completely honest ingredients, I'm happy to eat it after all the holiday fattiness. Click here to print recipe. Holy crap my dear! I will be trying this ASAP this weekend!! Looks fantastic, and I love the use of apples!! Mackenzie it is seriously mind blowing with the apples. Or at least it blew my mind. Hahah. Miss you girl! 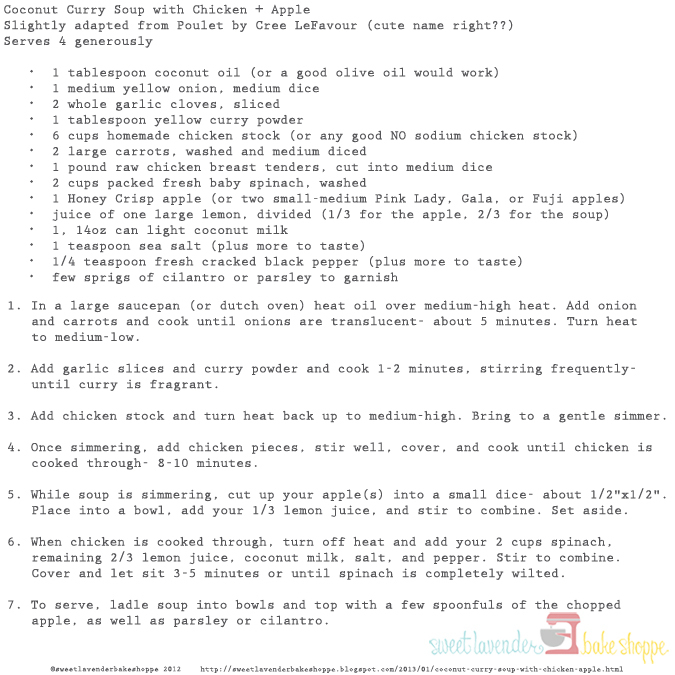 I've tried cooking this one last night, it is very good and tasty too. My children loved it very much and so is my mom. She told me that I can do another soup using a similar recipe but changing a bit of those recipes like putting some tulsi leaves on it or try putting more curry to make it more creamy.